Preheat oven to 350 degrees F (175 degrees C). 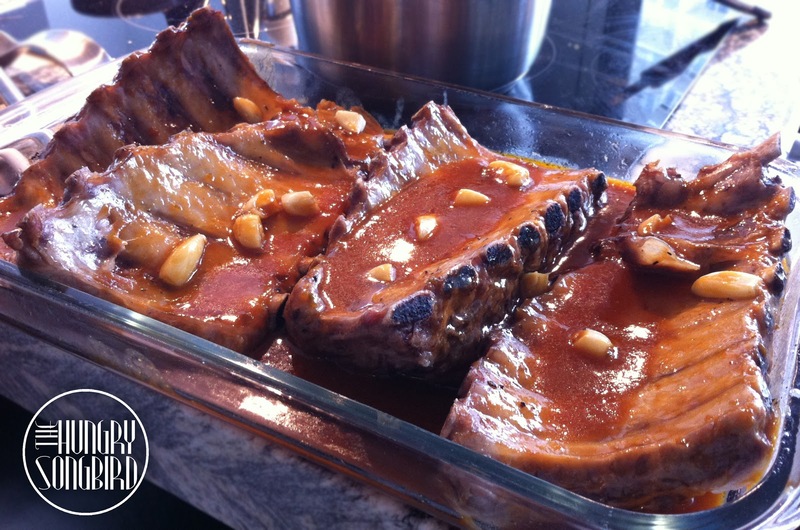 Place ribs in two 10x15 inch roasting pans. Pour water and apple cider vinegar into a bowl, and stir. 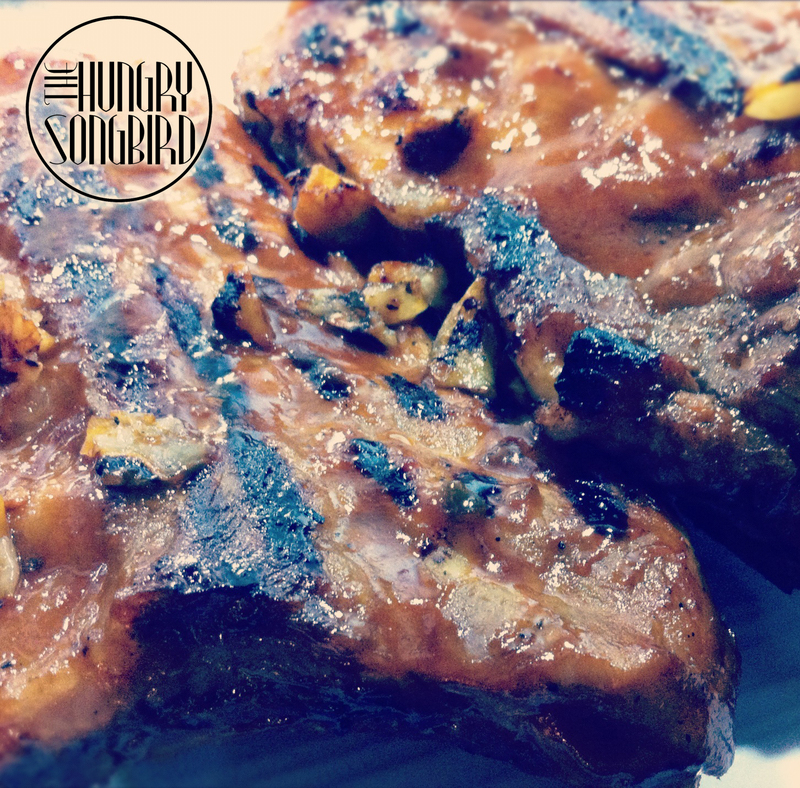 Sprinkle some freshly cracked black pepper over the ribs. Add the garlic and bay leaves to each of the pans. 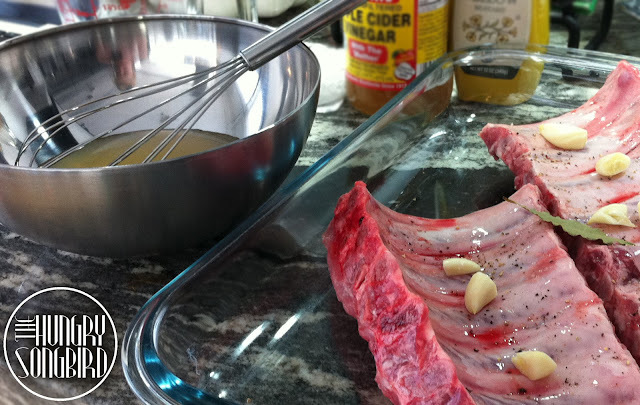 Pour diluted vinegar over ribs, and cover with foil. Bake in the preheated oven for 25 minutes. Baste the ribs with their juices. Reduce heat to 300 degrees F. Bake for 35 minutes more. In a medium saucepan, mix together jalepeño ketchup, ketchup, water, Bragg apple cider vinegar, Worcestershire sauce, mustard, butter, brown sugar, Sriracha pepper sauce, and sea salt; bring to a boil. 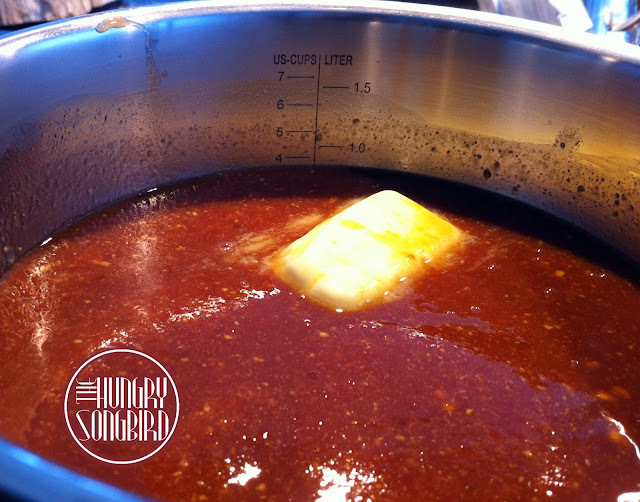 Reduce heat to low, cover, and simmer barbeque sauce for 2 hours. 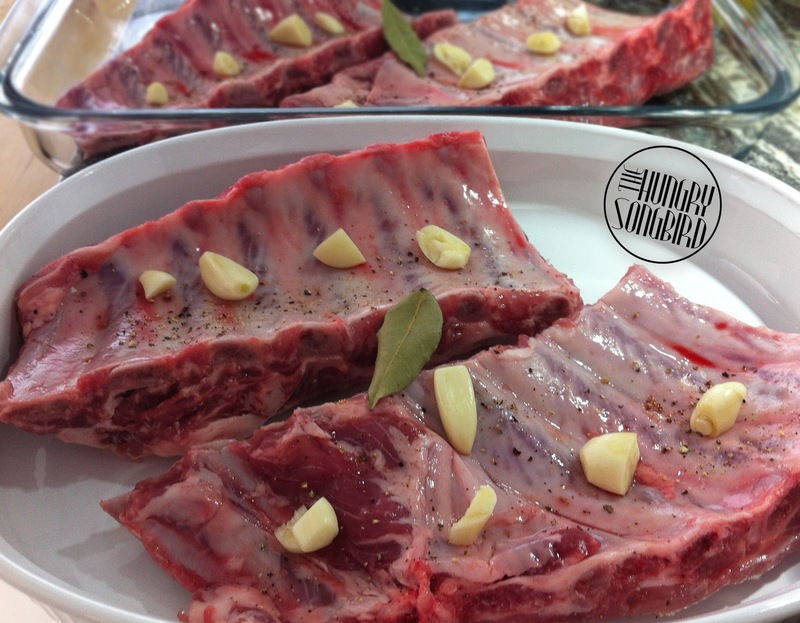 Place all ribs into one container, discarding cooking liquid and bay leaves, keeping garlic. Pour half of your BBQ sauce all over them. Cover and marinate for at least 2 hrs in the refrigerator. (I marinated for 3 hrs.) Take the ribs out of the refrigerator about 30 minutes before you're ready to cook them to let them get to room temperature. Lightly oil preheated grill. Grill ribs (with garlic) over medium heat for 10 minutes, turning ribs once. Baste ribs generously with barbeque sauce, and grill 2 minutes. 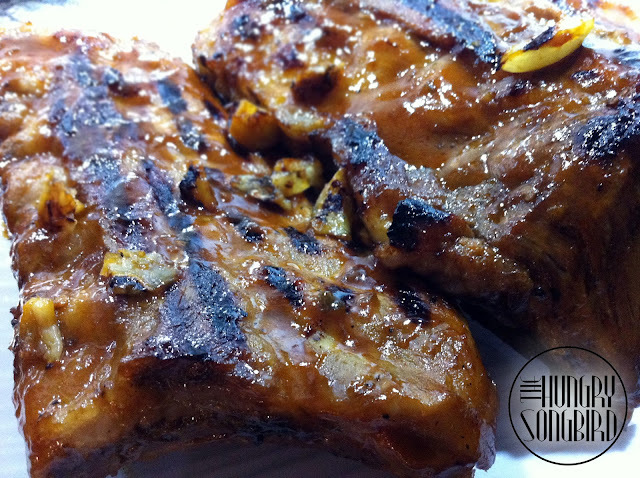 Turn ribs, baste again with barbeque sauce, and grill 2 minutes. Place ribs on a serving platter, and let rest for 5 minutes. Serve with extra BBQ sauce on the side for dipping. Garnish with grilled garlic.